Posted in People News on December 16, 2015 by Tanya Schoor. Meet Charles Kuster, who played an instrumental role in PARISE and is helping develop rapid-scan radar at NSSL! Posted in Research News on December 14, 2015 by Tanya Schoor. 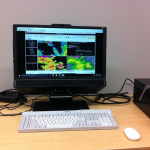 Eye tracking technology has many uses for NSSL researchers. Learn more about how they are using this tool. Posted in People News on August 5, 2015 by Tanya Schoor. Posted in Research News on August 3, 2015 by Tanya Schoor. Posted in Research News, Talks and Articles on February 17, 2015 by Susan Cobb. 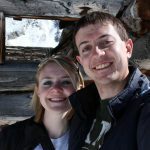 Posted in Radar, Research News on April 13, 2012 by Susan Cobb. 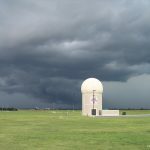 The NOAA National Weather Radar Testbed Multi-function Phased Array Radar will support three experiments with data collection during the spring of 2012 as part of the National Severe Storms Laboratory (NSSL) Phased Array Radar Innovative Sensing Experiment (PARISE). Posted in Radar, Research News on April 26, 2010 by Susan Cobb. 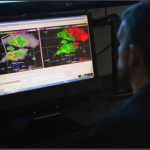 Focused observations of storms lead to faster updates since the radar does not waste time scanning clear-air regions. 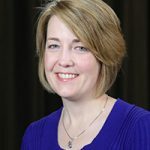 Posted in Radar, Research News on March 27, 2010 by Susan Cobb. 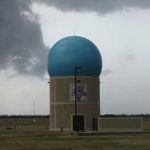 NSSL will conduct the first experiment to directly compare how forecasters issue warnings based on data provided at current radar update rates, with warnings issued based on faster data updates provided by Phased Array Radar (PAR).